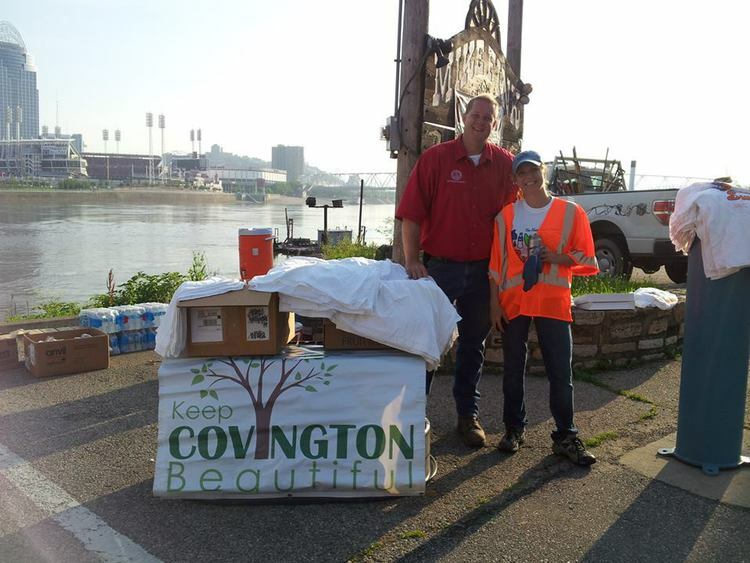 The City of Covington is partnering with Keep Covington Beautiful and Rumpke Waste & Recycling for the 2017 Ohio River Sweep in efforts to clean up the shoreline of the Ohio River and its many tributaries. The event is scheduled for 9 a.m. to noon, Saturday, June 17. Keep Covington Beautiful is looking for volunteers to come out and join the initiative to help pick up trash and remove debris and invasive plant species along the banks of the Ohio (Kentucky side) and Licking Rivers. The largest event of its kind, River Sweep is an annual event where thousands of volunteers clean up miles of riverbanks from Pittsburgh, Pennsylvania to Cairo, Illinois. More than 3,000 miles of shoreline will be combed for trash and debris. Roebling Bridge Site: the riverbank and greenspaces from the Licking River, under the Roebling Suspension Bridge to Madison Avenue turnabout. Volunteers will meet at the north end of Greenup Street, under the Suspension Bridge. Waterfront Restaurant Site – Volunteers will meet at 14 Pete Rose Pier located on the riverbank stretching from Madison Avenue Turnabout to Clay Wade Bailey Bridge. Licking River Greenway (LRG) Trails: Volunteers will meet at the LRG trail head at Clayton Meyer Park located at the intersection of Thomas Street & Glenway Avenue. All tools and clean up materials are provided to the sites. Volunteers will receive a t-shirt and are invited for a light breakfast and lunch to celebrate their hard work. The event takes place from 9 a.m. to noon with registration open at 8:30 a.m.
To register and volunteer for the event, click here. The event is organized by the Ohio River Valley Water Sanitation Commission, and the local sites are being hosted by Keep Covington Beautiful in partnership with the City of Covington and Rumpke Waste & Recycling. For any questions, contact Sheila Fields at 859.292.2121 or email sfields@covingtonky.gov. For more information about Keep Covington Beautiful or on making a donation, contact Shannon Ratterman at 859.547.5541 or Shannon@greatneighborhoods.org.